Four Packs of Yummies and the fixins! 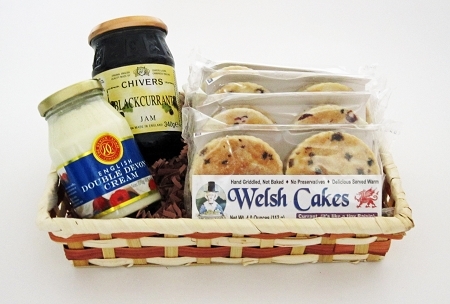 This Gift Option contains four packages of Yummies in the flavors of your choice presented in a beautifully woven basket and accompanied with a 12 ounce jar of imported British Preserves and a 6 ounce jar of Imported English Double Devon Cream. This unique gift is one you can be sure nobody else will duplicate and one they will last them for several days. They will always remember. Note: Basket style may vary from the picture. Jam Flavor provided may vary due to availability.